I finally got round to making a huge batch of pumpkin soup at the weekend. I added curry powder and it was delicious. So lots of frugal lunches packed away in the freezer for Autumn. I also used some of the pumpkin flesh to make pumpkin cake. If you like carrot cake you will certainly like this. I left out the orange peel because I didn’t have any and used standard icing rather than the cream cheese variety. 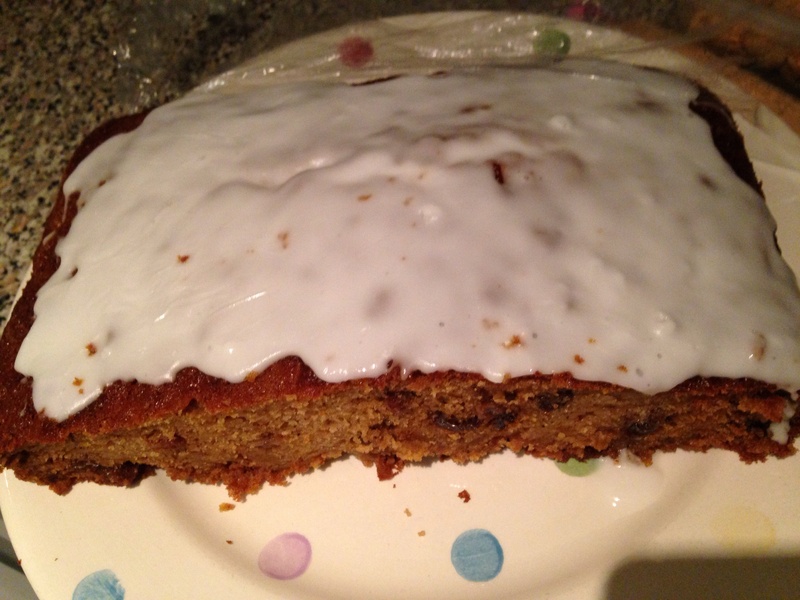 It has made a lovely moist cake. If I make it again I will freeze it in slices for our lunch boxes, probably without the icing though. Banana skins – I have heard that you can use these to polish leather shoes but have yet to try it! This is an ongoing list so feel free to add your ideas. Yum on the pumpkin cake! You are so good at coming up with ideas for being frugal!